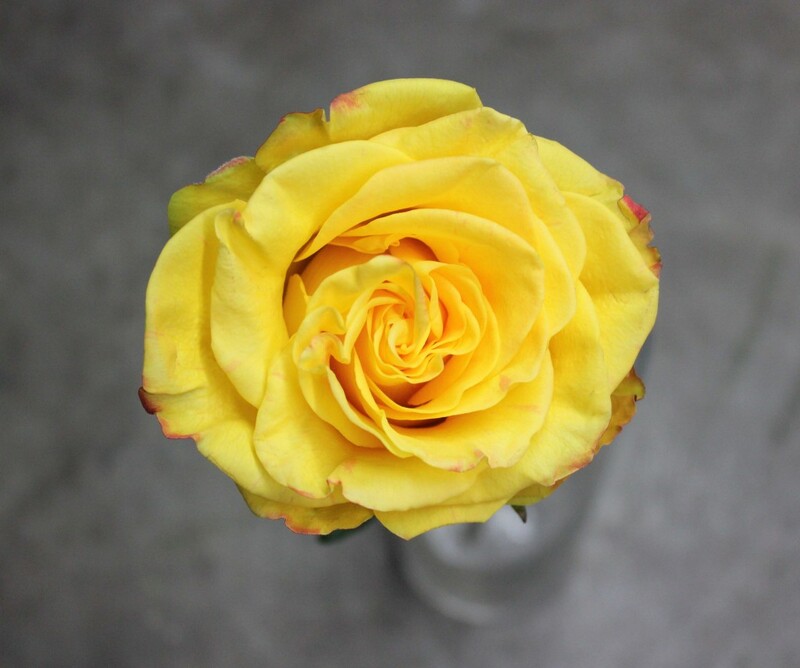 High & Yellow Magic is a yellow rose with hints of red on the guard petals and edges of some of the other petals. 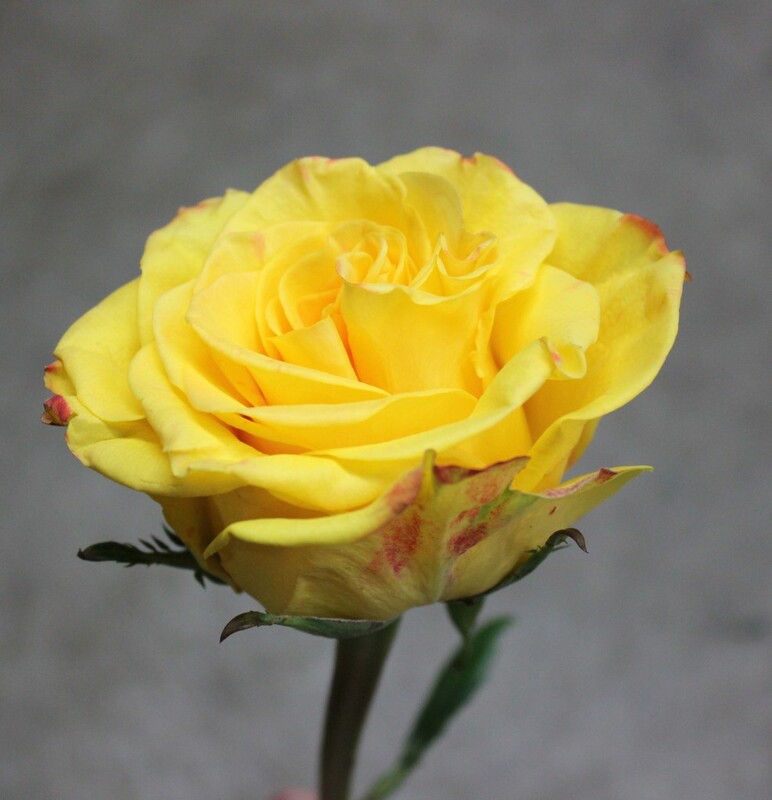 This rose has average thorns and a slight to no scent. 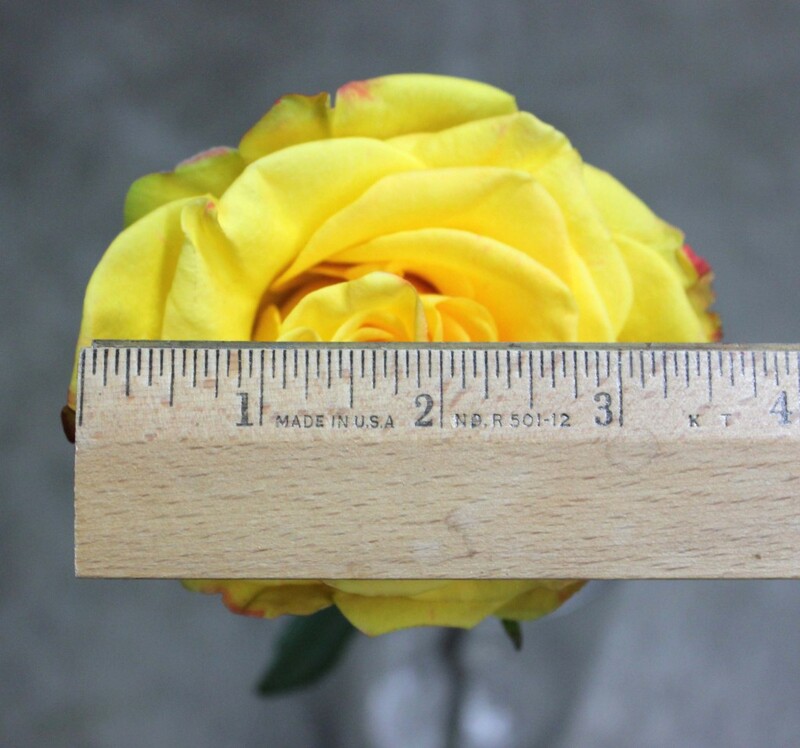 High & Yellow Magic measures to about 3.5 inches in diameter.